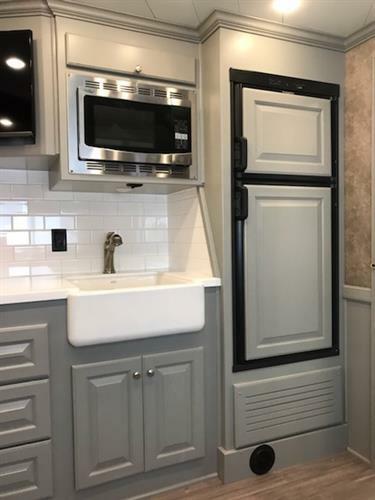 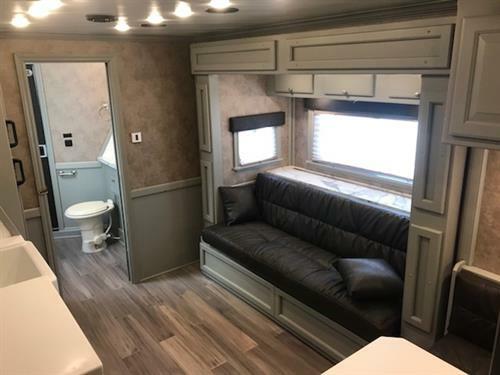 2018 Cimarron (3) horse living quarter trailer with a 15’8” Outback Conversion that has air ducted A/C unit, furnace, stairway up to the master bed with reading lights, Shiplap ceiling, t.v. 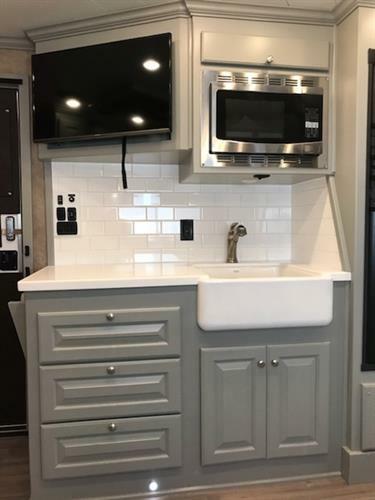 and tons of storage! 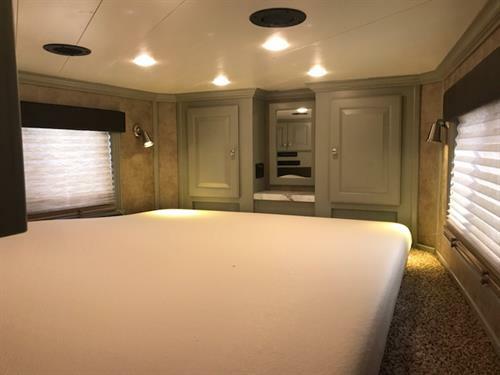 The main cabin has a Slide Out with a couch, corner dinette chair with a removable table, White Washed Hardwood Floors, large double sink, convection oven, 6cu fridge & freezer, spacious cabinets and a large bathroom. 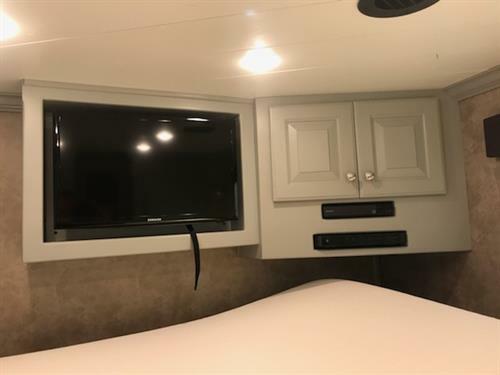 2018 Cimarron (3) horse living quarter trailer with a 15’8” Outback Conversion that has air ducted A/C unit, furnace, stairway up to the master bed with reading lights, Shiplap ceiling, t.v. 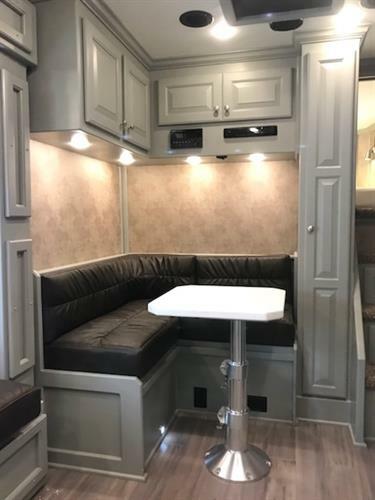 and tons of storage! 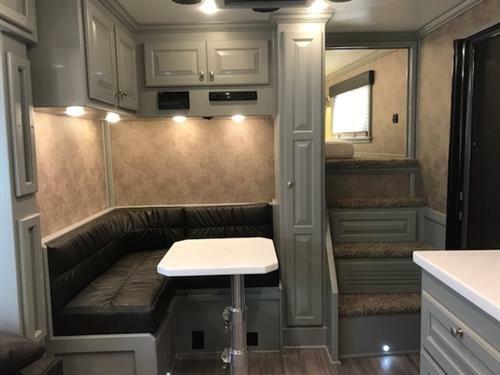 The main cabin has a Slide Out with a couch, corner dinette chair with a removable table, White Washed Hardwood Floors, large double sink, convection oven, 6cu fridge & freezer, spacious cabinets and a large bathroom. 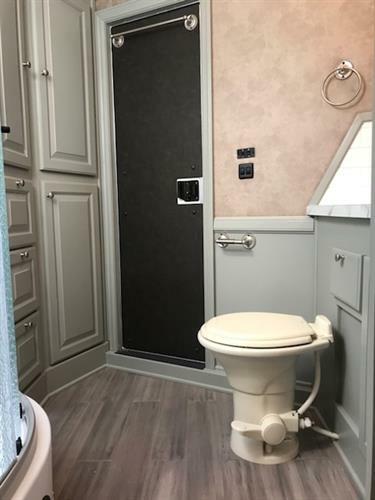 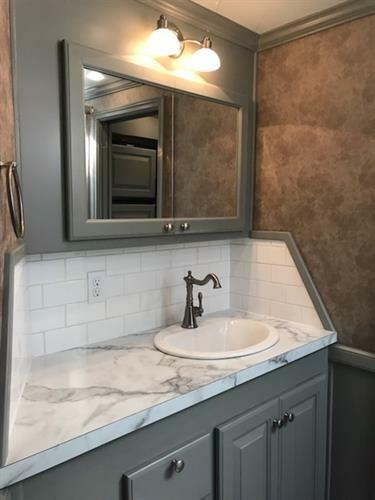 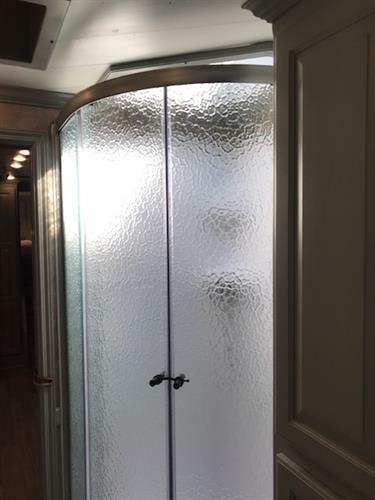 In the bathroom you have a porcelain toilet, oversized radius shower, linen closet, three large hanging closets and a walk thru door into the horse area. 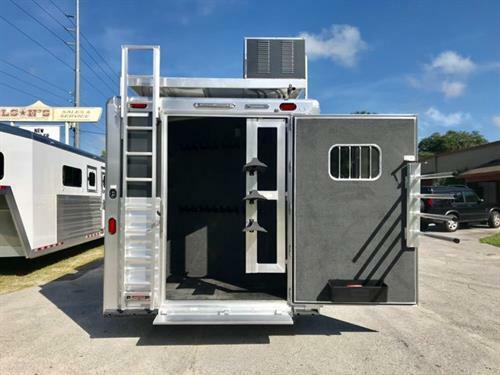 The horse compartment has an interior height at 7’6” tall x 8’ wide, escape door, drop down windows at the horses heads and hips, insulated roof, roof vents, feed mangers with outside storage, side load ramp, full rear tack room with a (3) tier swing out saddle rack, swing out blanket bar, shelves, bridle hooks and a fold down step. 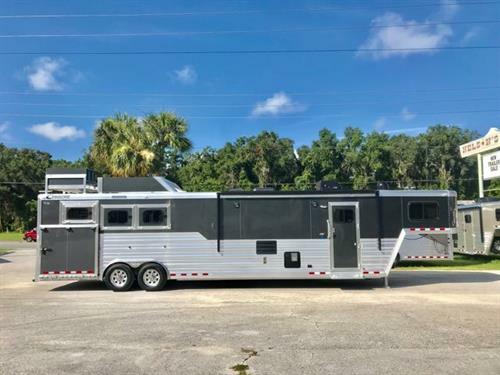 The exterior is Charcoal Grey in color with an Electric Awning, Hay Rack with an E Z Angle Ladder, Hydraulic Jack, Aluminum Wheels and a 4000 Onan Generator!